Take a trial ﬂying lesson in this classic, two seater, open cockpit aircraft and, on this flight, you get the chance to take the controls! Donning the leather ﬂying jacket, goggles and helmet ready for a ﬂight of pure nostalgia, and high above the bustle of modern life it’s easy to imagine it’s 1934 again. I just wanted to let you know that, from start to finish, the whole experience was amazing. Everything was so easy – from the booking in, to the briefing, to being dressed up in the “BIGGLES” jacket and helmet (bit disappointed that I wasn’t allowed to keep them! ), to being walked out to the airfield, to being settled into the cockpit, to having my photo taken, to the actual flight, to the debriefing – and I enjoyed every minute. What’s included in your Tiger Moth Flight with Classic Wings? Flights take place at weekends and midweek throughout the season (March to October). I’d just like to say a huge thank you for giving me such a special day last Sunday. 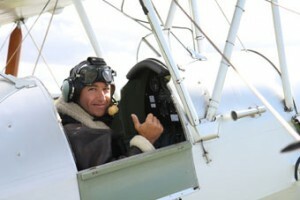 My flight in the Tiger Moth DH82a was stupendous and an experience beyond expectations – thanks to all the staff who prepared me for the flight. Everyone was extremely helpful and pleasant and the flight was an experience that I will treasure always. Remember ‘The English Patient’? Remember Biggles? Then no doubt you will remember the Tiger Moth. Most Tiger Moths in Britain are privately owned so the chance of a spin in one is relatively rare. Luckily it’s an opportunity that Classic Wings can offer. 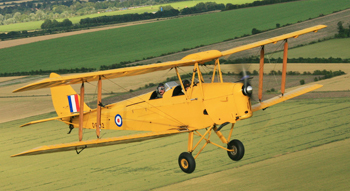 Availability – Tiger Moth flights are available every day except Mondays from March to October. Not available on Duxford Airshow days. Restrictions – Weight limit on this activity is 18 (115kg). All participants must be under 6’4″ tall and be able to climb into cockpit of aircraft. Min. age: 14 years, max. age: 89 years. Spectator Information – *Please note that accompanying friends and family must enter the Imperial War museum in order to watch the flights, but will be entitled to 50% discount on the usual admission fee. Meal Arrangements – Restaurant and several cafes available on site. Weather Restrictions – All flights are weather dependent and therefore subject to suitable flying conditions. If a flight has to be cancelled it will be rebooked for an alternative date. ALL BOOKINGS ARE CONFIRMED INSTANTLY BY EMAIL. Please contact us if you do not receive your confirmation email immediately after booking. 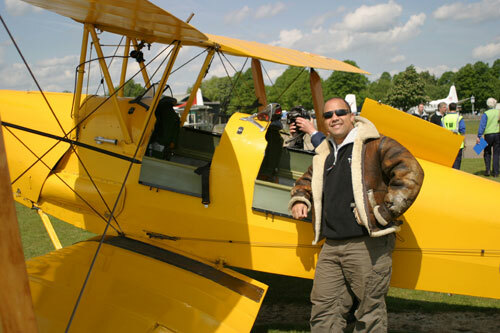 More about the Tiger Moth here at Classic Wings. The De Havilland Tiger Moth dates back to the golden age of flying, the 1930s, when the RAF used it as a basic trainer aeroplane for almost all their pilots, including Spitfire pilots, many of whom flew from Classic Wings’ base, the Imperial War Museum, Duxford. Although initially used for training, in 1940 a number were fitted with bomb racks for anti-submarine operations, some were used for photograph reconnaissance, with a few converted for use as air ambulances in Burma. After the war, many ex RAF aircraft became civilian trainers, while others were used for crop spraying or passenger carrying. 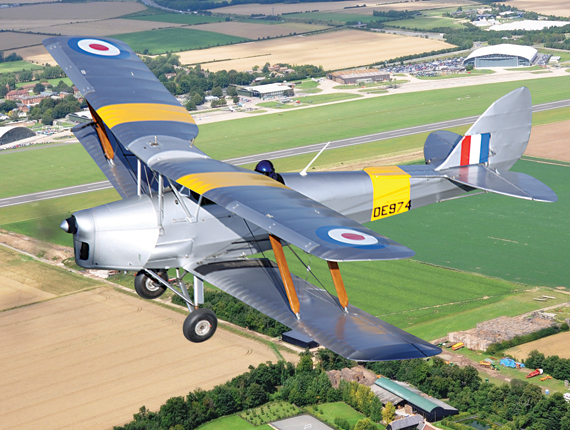 Classic Wings have restored their Tiger Moths mechanically and structurally to pristine flying condition to conform to DH82a De Havilland specification – undoubtedly a beautiful tribute to the De Havilland Flying Company.